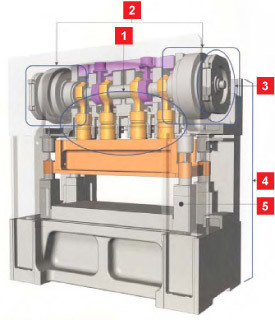 Advancing To an Even Higher Stage With the MSP high speed stamping press, dynamic accuracy is significantly improved because of the compact design and multiple suspension points. 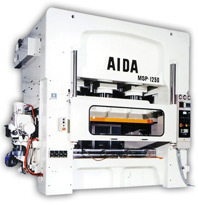 A balance between high rigidity and a wide bed area is brought to a higher level using the latest technology. 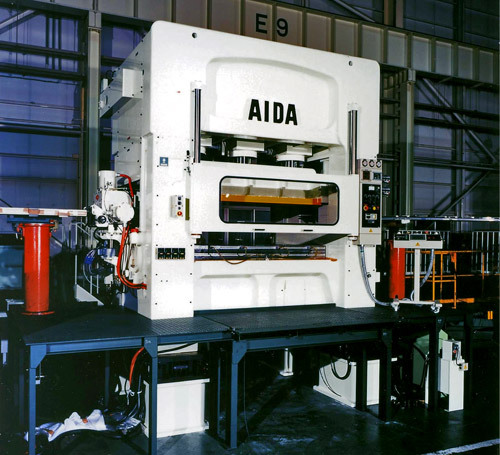 Ultra precision dies that require a large bed area area necessary for the production of high-efficiency motors, such as motors for hybrid cars or for energy conservation. 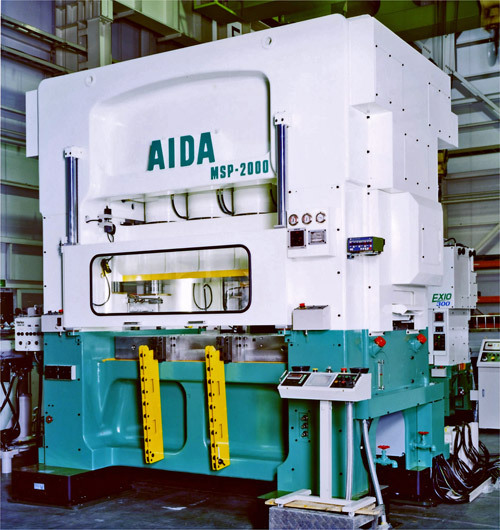 Responding to these needs, AIDA applied innovative new technology to achieve increased precision with the AIDA MSP Series High Speed Stamping Press.